I have made a LOT of different kinds of cupcakes and to be honest, I'll try just about anything in the name of experimental chocolate baking. These hi hat cupcakes through me for a loop though. I was instantly drawn to the perfectly smooth chocolate coating that enveloped a delicate tower of meringue. 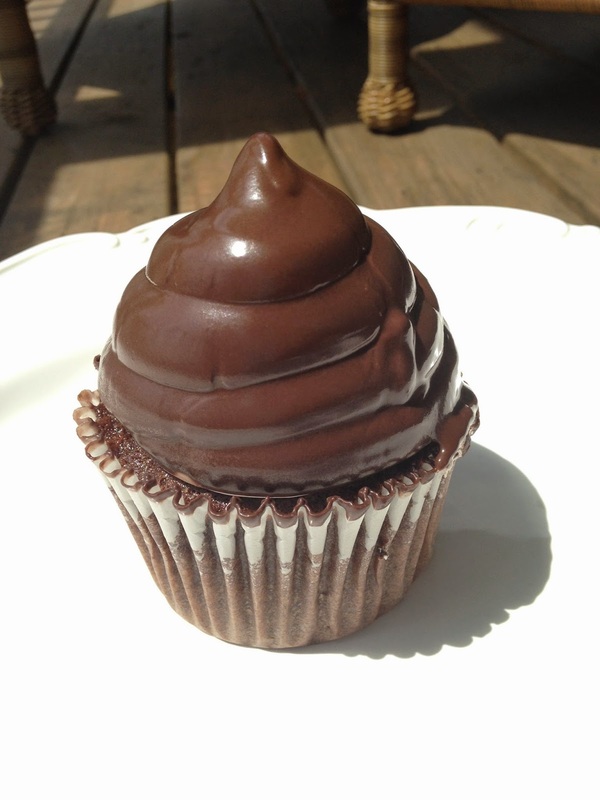 I couldn't even imagine how one would go about getting that thin chocolate shell on top of the cupcake without it dripping down the sides of the paper. 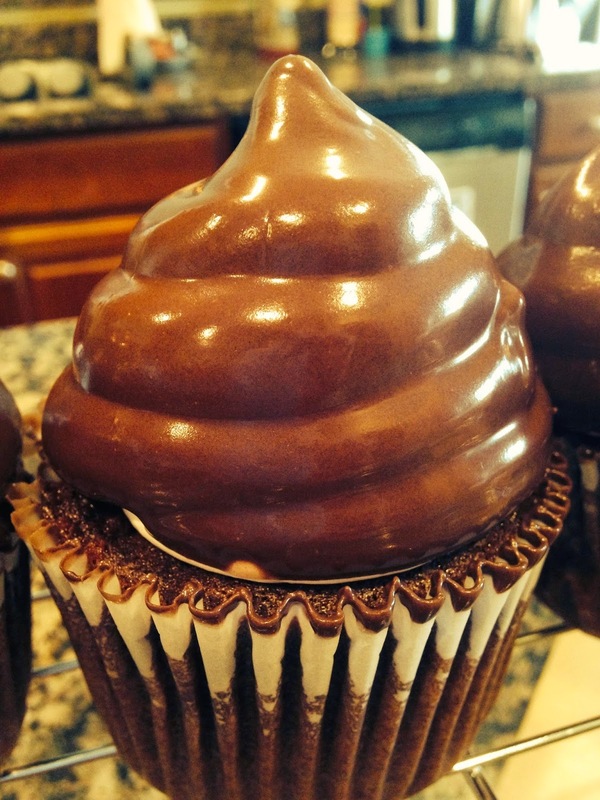 As I did some investigation, I realized that the only way to achieve hi hat cupcake perfection is to turn the cupcake - icing and all - upside down in a bowl of melted chocolate! UPSIDE DOWN! It took me about 6 months to work up the nerve to try this strange technique and as you could imagine, there is a huge learning curve. My advice is to be patient and take your time because you WILL get better at dipping cupcakes in chocolate. And ...you can eat all of the mistakes. 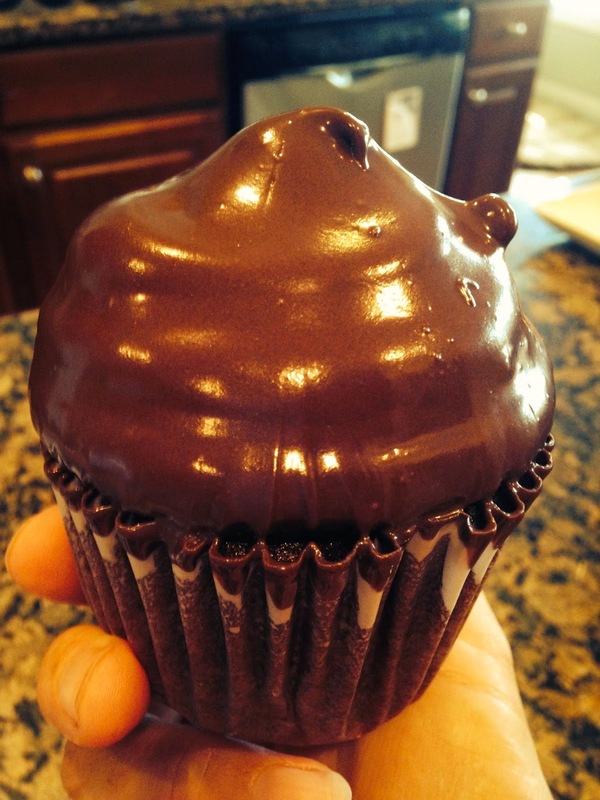 Cupcakes: Melt chocolate. Cool slightly. 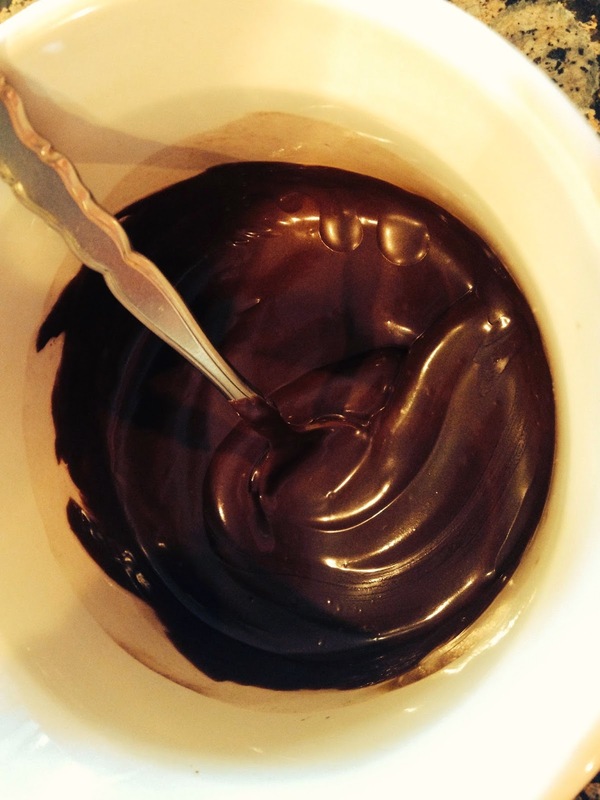 On low speed, mix in chocolate. Add eggs, one at a time on medium speed. Add flour mixture alternating with coffee. Meringue: Combine sugar, egg whites and cream of tartar in bowl over a double boiler. Transfer to a pastry bag fitted with a plain ½” tip. Pipe a spiral of frosting into a 2” cone on top of each cupcake. Freeze 10 minutes. 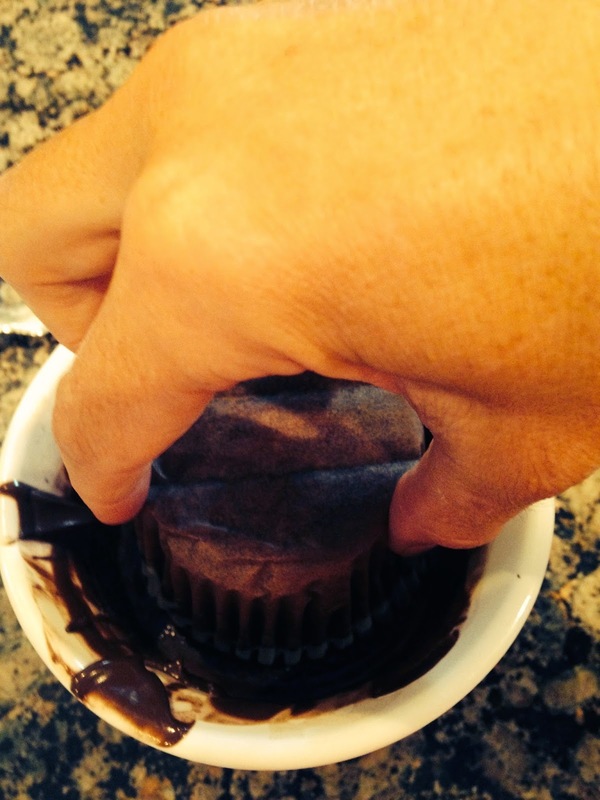 Holding each cupcake by its bottom, dip in chocolate to coat. Transfer to a baking sheet and let stand 15 minutes. Cover and refrigerate 2 hours – serve cold. The most important thing to remember is to freeze the frosted cupcakes for at least 10 minutes before dipping. 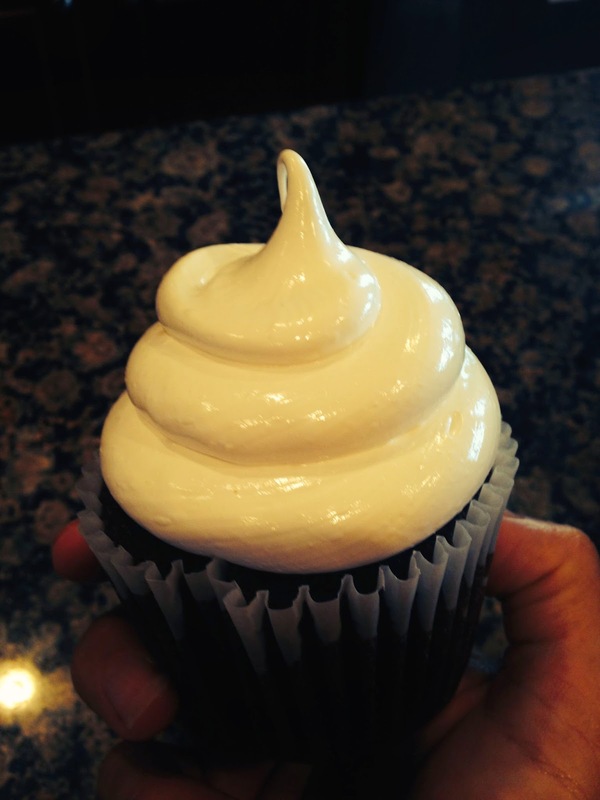 This will prevent the frosting from sliding off when you turn it upside down - hopefully. Give this recipe a try - it really is fun and the results are delicious.